which the testing requirements for certain products are unique or at variance with these general procedures, the product specification testing requirements shall control. The tension test related to the mechanical testing of steel products subjects a machined or full-section specimen of the material under examination to a measured load sufficient to cause rupture. The resulting properties sought are defined in Terminology E 6. 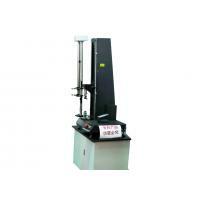 In general, the testing equipment and methods are given in Test Methods E 8. However, there are certain exceptions to Test Methods E 8 practices in the testing of steel, and these are covered in these test methods. 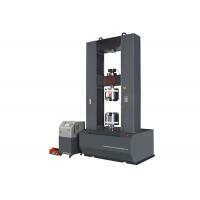 Loading Systems—There are two general types of loading systems, mechanical (screw power) and hydraulic. These differ chiefly in the variability of the rate of load application. 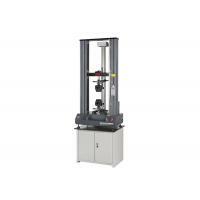 The older screw power machines are limited to a small number of fixed free running crosshead speeds. Some modern screw power machines, and all hydraulic machines permit stepless variation throughout the range of speeds. 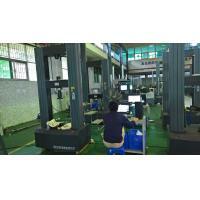 The tension testing machine shall be maintained in good operating condition, used only in the proper loading range, and calibrated periodically in accordance with the latest revision of Practices E 4. 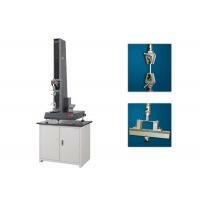 NOTE 1—Many machines are equipped with stress-strain recorders for autographic plotting of stress-strain curves. It should be noted that some recorders have a load measuring component entirely separate from the load indicator of the testing machine. Such recorders are calibrated separately. 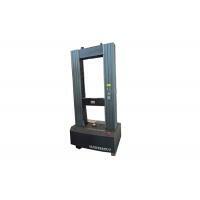 Loading—It is the function of the gripping or holding device of the testing machine to transmit the load from the heads of the machine to the specimen under test. The essential requirement is that the load shall be transmitted axially. This implies that the centers of the action of the grips shall be in alignment, insofar as practicable, with the axis of the specimen at the beginning and during the test and that bending or twisting be held to a minimum. For specimens with a reduced section, gripping of the specimen shall be restricted to the grip section. In the case of certain sections tested in full size, nonaxial loading is unavoidable and in such cases shall be permissible. 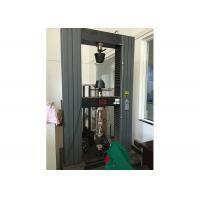 elevation of the measured yield strength. 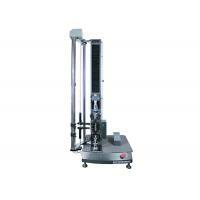 determining the tensile strength, the free-running rate of separation of the heads shall not exceed 1⁄2 in. 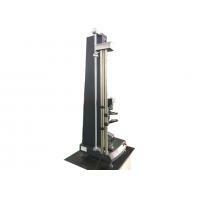 per min per inch of reduced section, or the distance between the grips for test specimens not having reduced sections. 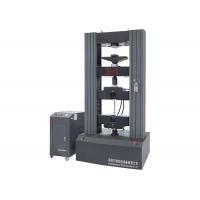 In any event, the minimum speed of testing shall not be less than 1⁄10 the specified maximum rates for determining yield point or yield strength and tensile strength. It shall be permissible to set the speed of the testing machine by adjusting the free running crosshead speed to the above specified values, inasmuch as the rate of separation of heads under load at these machine settings is less than the specified values of free running crosshead speed. 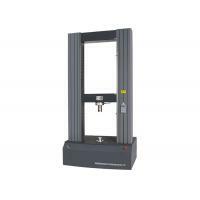 As an alternative, if the machine is equipped with a device to indicate the rate of loading, the speed of the machine from half the specified yield point or yield strength through the yield point or yield strength may be adjusted so that the rate of stressing does not exceed 100 000 psi (690 MPa)/min. However, the minimum rate of stressing shall not be less than 10 000 psi (70 MPa)/min.